Our team had been asked to plan and design a small residential building of Ground + 3 floors. 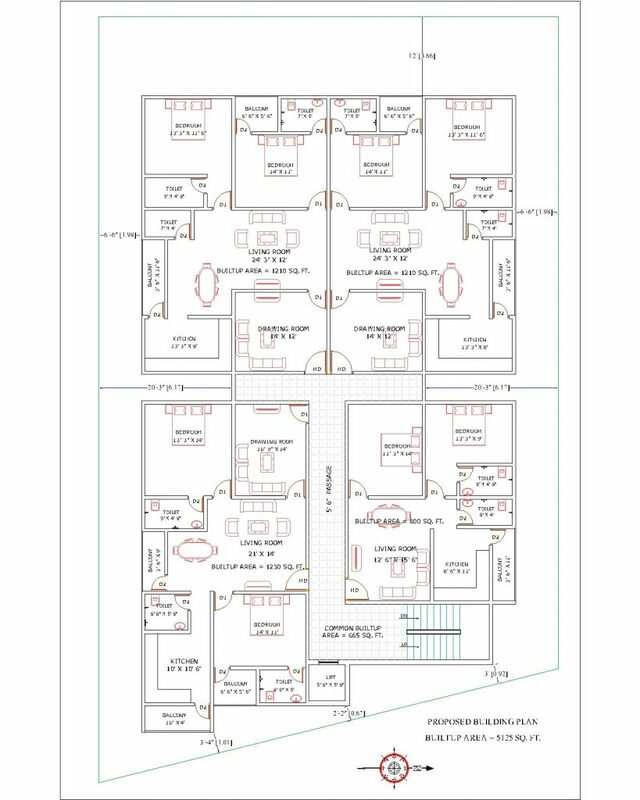 The requirements were to plan atleast 4 medium size apartments per floor. The plot area available was 7565 square feet. It was not rectangular, and so apartments would be of differing builtup areas. 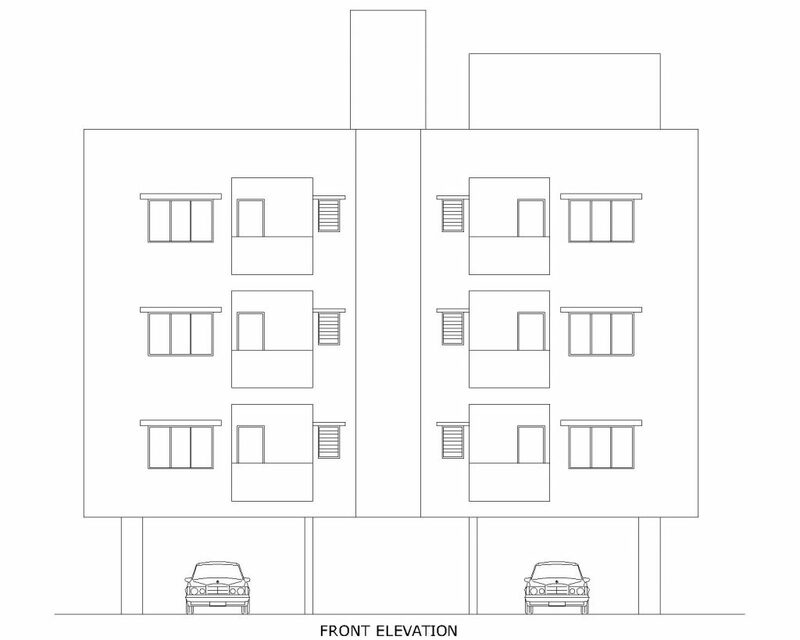 Our main target were buyers looking for a medium size 2BHK apartment. There was an additional requirement for a separate Drawing Hall for guests wherever possible. A lot of options were proposed. Our goal was to maximize usable area for the residents. Front open margin was fixed at 12′. 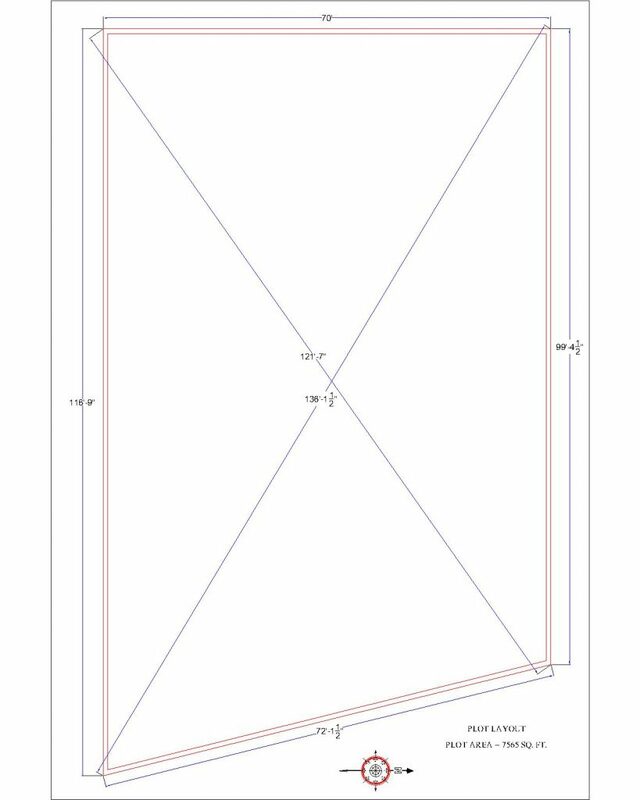 Side margins were fixed at 6′ 6″ on both sides. One plan was finalized after a few meetings with the developers. 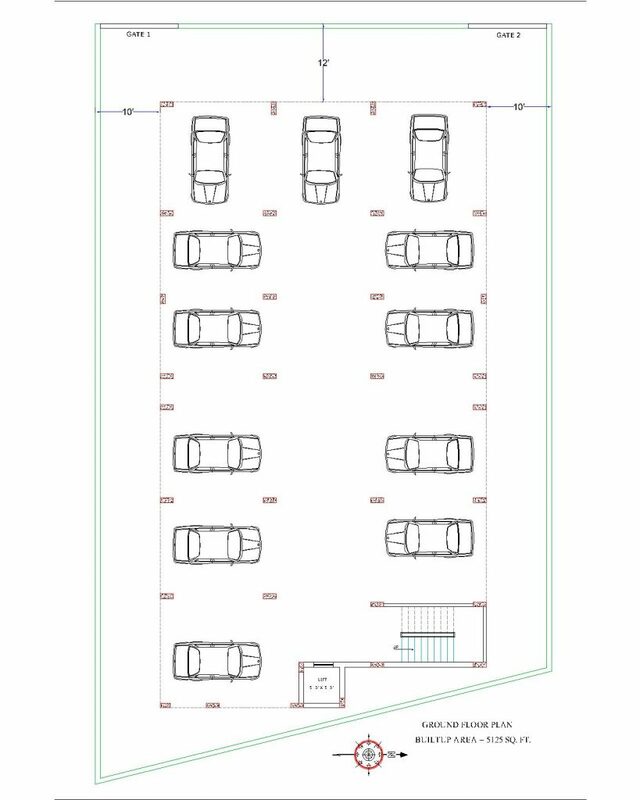 In our finalized plan, we had 4 apartments per floor. Three apartments had a builtup area of around 1200 square feet each. One smaller apartment had an area of 800 square feet. Total builtup area of a floor in the building was 5125 square feet, including common areas like lobby, lift and staircase. The main passage was 5′ 6″ wide. Staircase width was fixed at 4′, with 7″ risers and 12″ threads. The staircase had a total of 18 steps, making slab top height at 10′ 6″. Once the plan was finalized, we began work on column layout. Ground floor of the apartment was a stilt parking floor. It had a capacity of 12 cars and a few motorbikes. It was enough parking for all the apartments in the building. It is necessary to coordinate the column positions on all floors, because we cannot arbitrarily change column positions on upper floors without massive structural costs. It is important to keep that in mind. Our staircase had width of 4′. Riser was 7″ high, and thread of each step was 12″ wide. Structural details of staircase are given above. 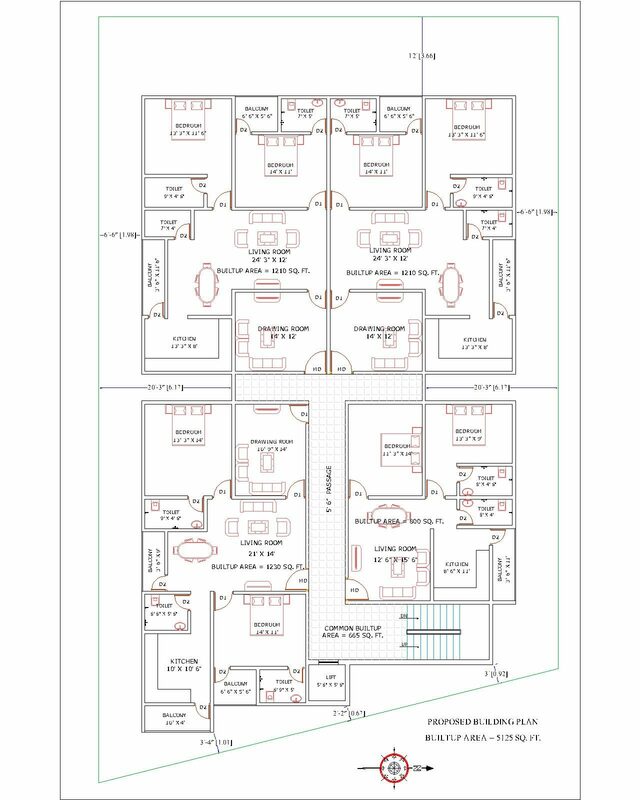 The finalized building plan with all columns is given below. 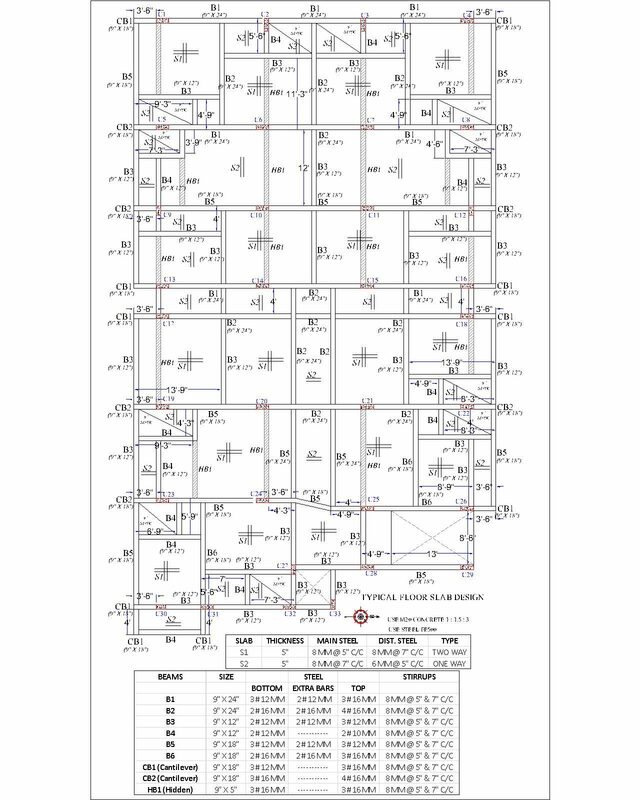 Here, we make some more adjustments to the plan and column layout to make our design as efficient as possible. In the end, we calculate column loads, design columns and foundation design, plinth beam design and slab design. I used our android apps to design rcc columns and rcc slabs. For loading calculations of columns, we use the guide given in our article for calculation of loads. The next steps of design would be plumbing layouts, electrical layouts, doors and windows details, elevations and working drawings. 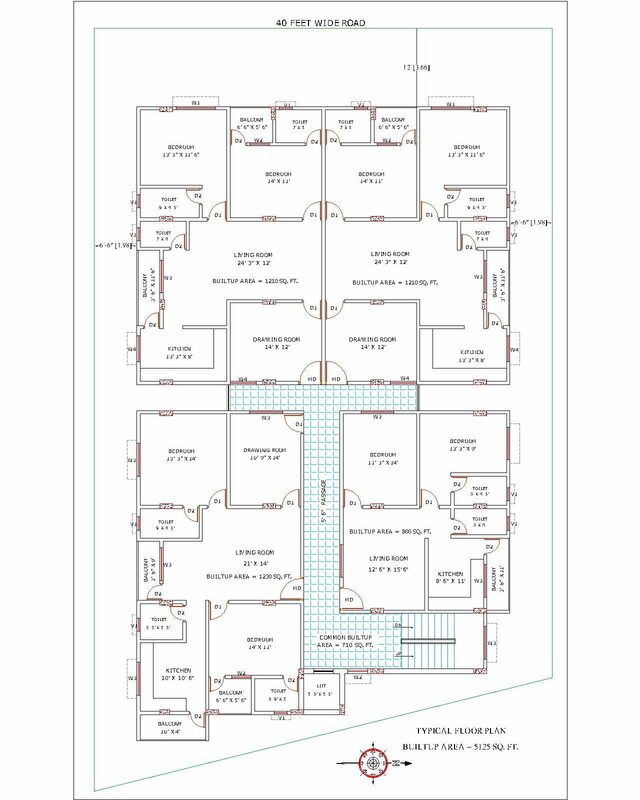 We also provide options for interior 3D views and exterior 3D elevation at a later stage of the project. In this way, we could complete this small residential apartment building in the specified time frame. It can take a small team many days to plan and execute the design part of the building. Site supervision is also an important aspect of overall building construction, so that the project can proceed according to the laid down building drawings. I am keen learner. I love civil engineering. But I am not an engineer. I propose to construct a house with reasonable understanding of the matter instead of simply depending on some body. I wish to know about soil testing methods to know various parameters. Generally, soil testing firms take soil samples at the desired depth of the footing. They analyze it in laboratories, and then after studying the structure of soil, give us the safe bearing capacity of soil. 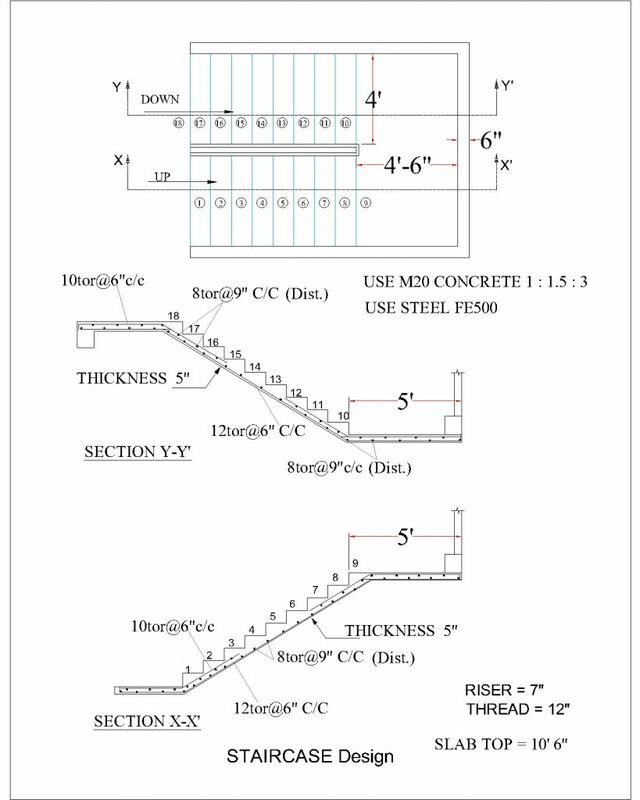 We use this information to determine the size of footings for design load.